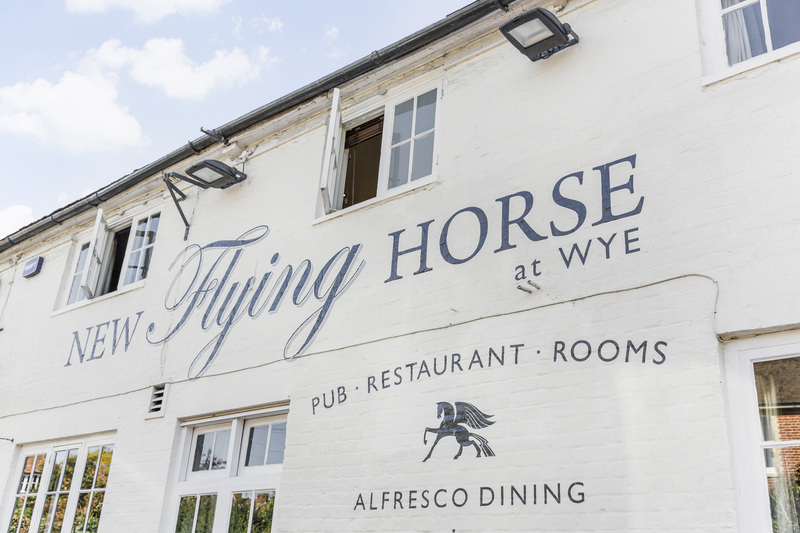 A fabulous country inn with its own great outdoors, the New Flying Horse is one of Wye’s most delightful pubs. The New Flying Horse in Wye offers brasserie-style lunchtime dining and a full restaurant menu, including locally-caught fish specials from the Kent coast.You can enjoy a light lunch in our garden, or settle down for a real feast in our relaxed restaurant – choosing from an array of dishes crafted from fresh seasonal produce.. Please take a look at our menus for more details. Extensively refurbished to offer the highest standards of accommodation in Wye, our nine individually-decorated bedrooms combine beautiful traditional features with modern conveniences. A classic country inn on the edge of the Kent Downs, the New Flying Horse is a special place to dine, drink and stay in Wye, near Ashford. It is home to delicious local produce, great Sunday roasts and authentic Kentish ales - plus nine recently refurbished guest rooms that make the perfect base for a stylish stay in the Kent countryside. 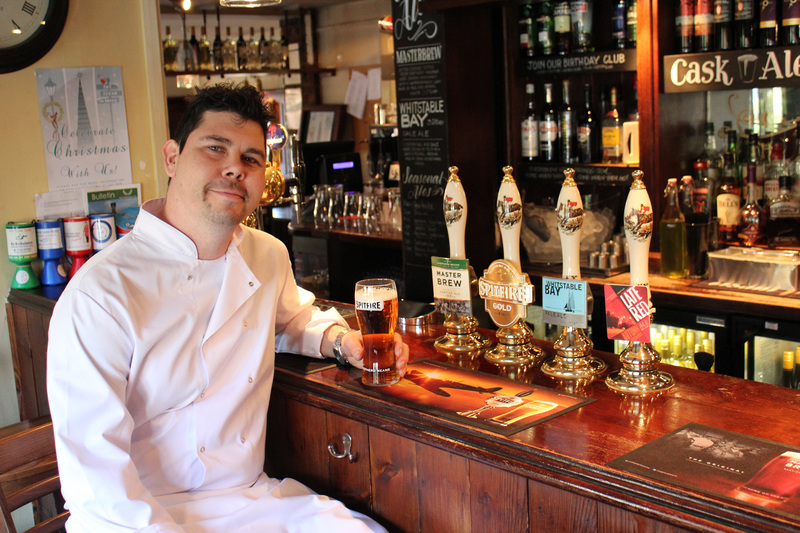 The pub is well located for exploring the cathedral city of Canterbury, walking on the Downs or enjoying a restful stopover en-route to and from the continent. But one of the star local attractions is literally right on our doorstep…a pub garden like no other. Seating up to 60 people, our glorious garden is the best place in Wye to soak up the summer sun with a pint and a pub lunch. It features a unique, award-winning centre-piece - a Chelsea Pensioner themed garden named "Soldiers Dream of Blighty” - which was designed by Julian Dowle and won the Chelsea Flower Show gold medal in 2005.